As you know our motto is “we turn beginners into experts” and we still are living up to that. We now have grape skin packs which can be added to any red wine kit. Our Fior D’Uva crushed grape packs contain whole crushed grapes including the juice, skins, seed and other solids which will deliver to any wine their special varietal character. The grape skin packs will enhance flavours, body and structure. By adding our crushed grape pack to the must and leaving it in for a period of time, your finished wine will benefit from the extraordinary richness of all the components of the grape berry as it occurs during the maceration process in a traditional Winery. 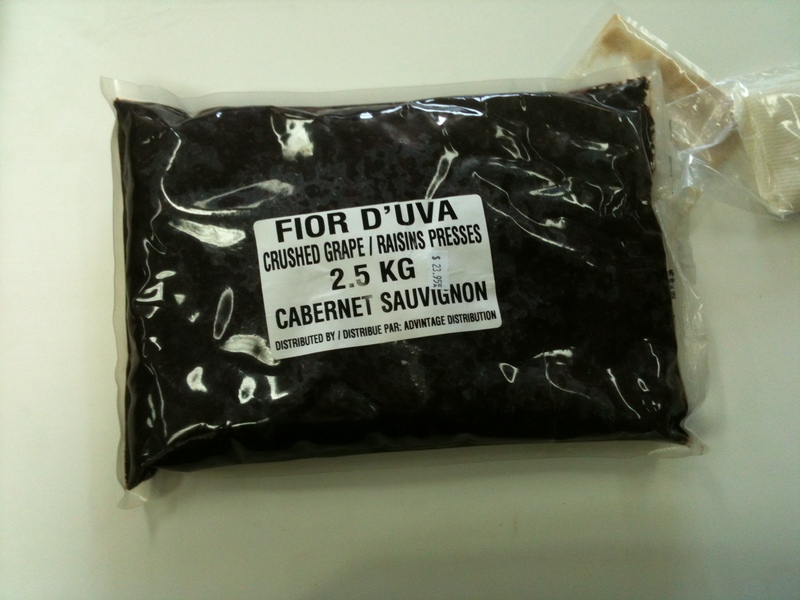 Our Fior D’Uva crushed grape packs are 100% natural and are very versatile. Stop by and pick one up for your next wine kit.